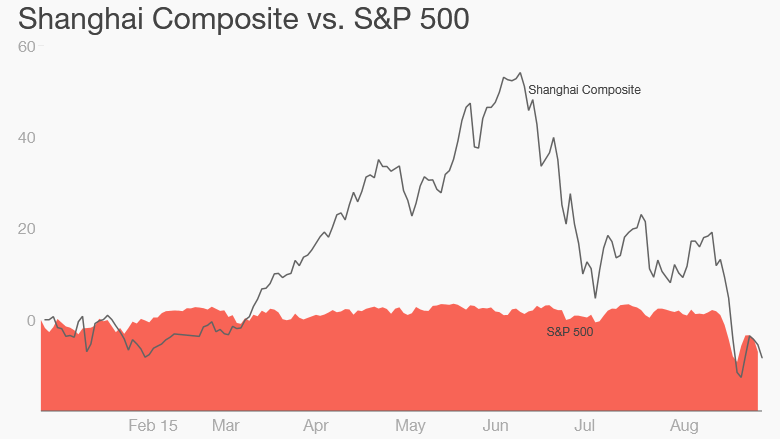 China stocks swung wildly on Wednesday as investors grappled with the market's latest episode of extreme volatility. The benchmark Shanghai Composite shed 4.2% at the opening bell, only to recover and close with a 0.2% loss. The smaller Shenzhen Composite followed a similar pattern, opening nearly 5% lower before rebounding to post a 2% decline. The Shanghai index has now crashed roughly 40% from its June 12 peak, wiping out all gains made this year. Beijing has acted aggressively in recent months to prop up stocks. The central bank has injected cash into the financial system and state-backed brokerages have been ordered to buy shares, but the measures have largely failed to stem losses. Investors will now get a state-mandated break from the pain. Markets in China are due to start a four-day holiday on Thursday, as Beijing shuts down for a military parade that will commemorate the end of World War II. Stocks were less volatile elsewhere in Asia on Wednesday. Hong Kong's Hang Seng was down by 1.3%, while Japan's Nikkei shed 0.4%. Australia's ASX All Ordinaries was little changed following the release of disappointing GDP data. Turbulence in Asia comes after a very rough Tuesday for U.S. stocks. The Dow Jones Industrial Average plunged 470 points, or 2.8%, and is 12.5% below the all-time high it set in May. The S&P 500 fell 3% and is once again in a so-called correction. The tech-heavy Nasdaq sank nearly 3% as well and is 11% below its July peak. 1. 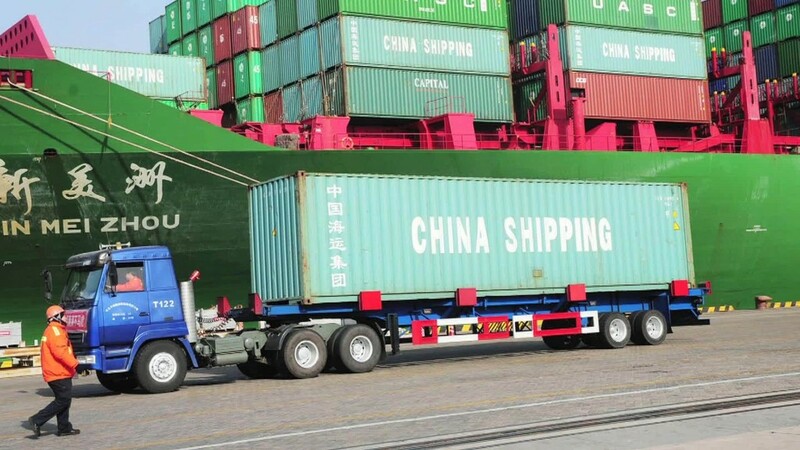 Analysts are concerned that China's economy is slowing faster than anticipated. The People's Bank of China has tried to alleviate fears with stimulus actions, including an interest rate cut. 2. There are worries over a possible interest rate hike by the U.S. Federal Reserve, possibly as soon as this month. 3. Oil prices are experiencing violent swings. Just a week ago, oil plummeted below $38 a barrel for the first time since 2009 with little end to the pain in sight. But now it has raced back to nearly $50 a barrel.